Some good news to lift our spirits a bit. We are thrilled to report that "Psycho" - aka Sharptor Delphi (pictured left) - volunteered herself to be caught for the first time ever on our yard on Saturday morning and stood like a rock while the farrier trimmed her feet. (Previously he'd only manage to pick up her fronts a little bit). She was SO GOOD. We were thrilled. After 15 long months, we are finally gaining her trust. Still got a way to go, but she's on the point of losing her nickname! We'll have to think up an alternative! Above is our home-bred stallion, Bob. Not only was he beautiful, he also had an amazing temperament, which he passed on to his offspring. He has always passed on the cream gene as well! We know where all the home-bred ponies we've sold are or what has happened to them, which is absolutely fantastic. We are a small stud, located in the village of Corley in Warwickshire. 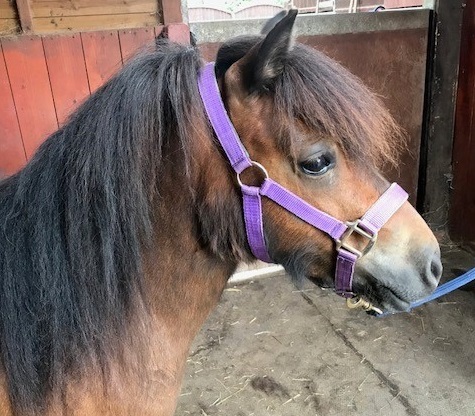 Our aim is to breed miniature shetlands with excellent temperaments, conformation and free movement. We also enjoy showing standard ponies. Due to our small size, the emphasis is on quality rather than quantity!! 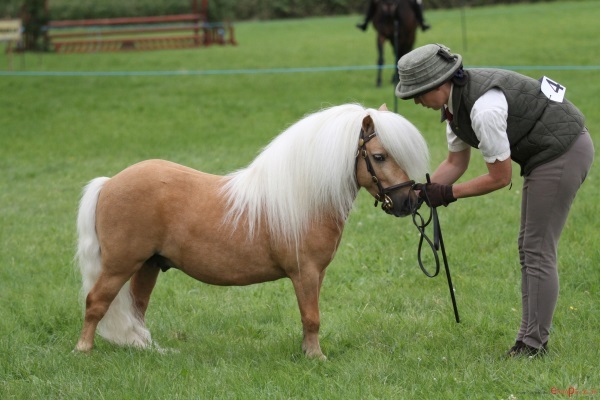 Every pony has plenty of attention and handling from birth, making them very "user-friendly", well mannered and suitable as a child's pony.